Is It Fatal or Just Really Annoying. . .and Costly? Take a look at her. Yeah. 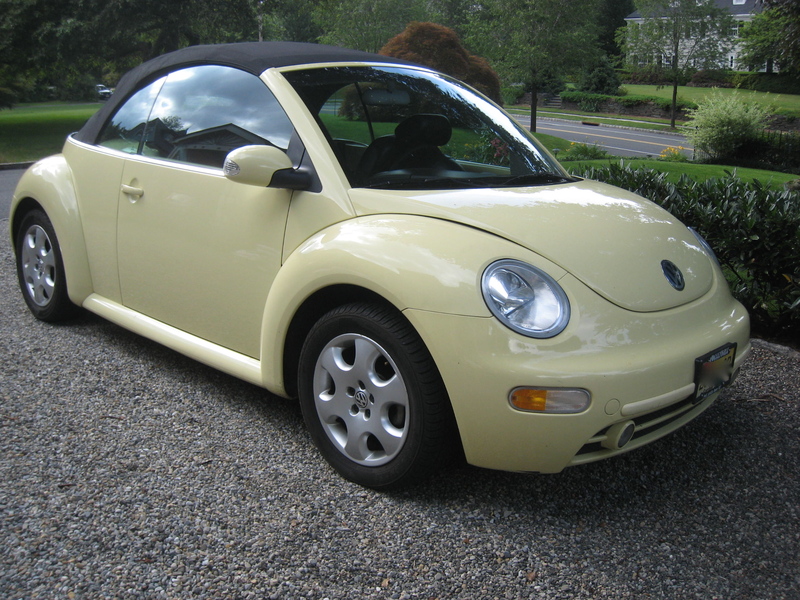 Take a good look at Sunny, my daughter Tory’s beloved VW Bug. Sunny the VW Bug looks very sweet, but is she? Cute, isn’t she? Like a little chick, all yellow and innocent looking. She’s trouble, just a whole lotta trouble. Her new name, at least in my mind, is Cloudy. Sunny/Cloudy has been sick since the day we brought her home and no amount of checkups have resolved her illness(es). We get one thing fixed and another thing breaks down. 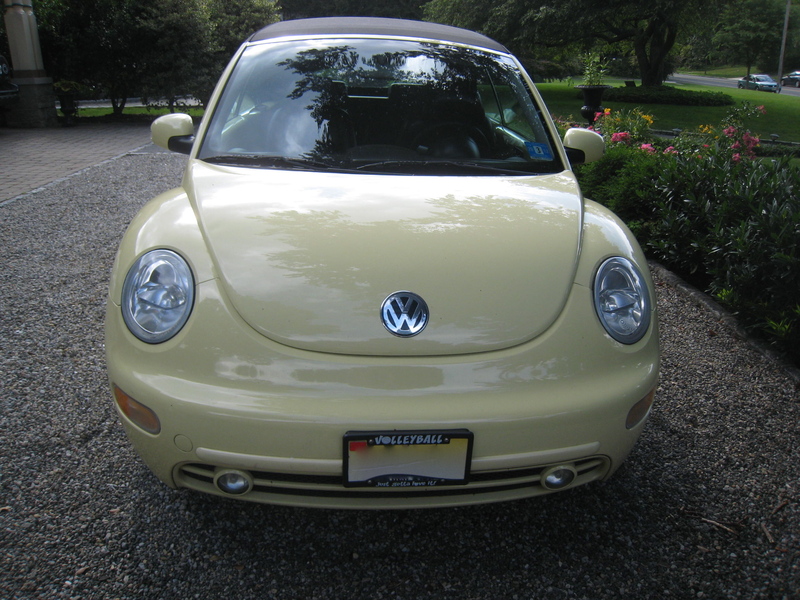 Did you know that a VW Bug can turn on the check engine light for more than 200 different ailments? The “check engine” light, her way of telling us she’s feeling a little punk, has been “on” more days than it’s been “off” since we purchased her on February 20, 2010. Then Sunny/Cloudy’s driver’s side door almost fell off. Then her “check airbag” light turned on. 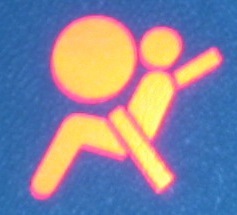 Betcha can't guess how many air bag sensors are in a VW Bug. Then her rear passenger window refused to close unless my husband Mike gently and firmly forced it closed. Would I recommend purchasing an auto from here? No. Not anymore. We’ve returned Sunny/Cloudy to the used car dealership about four times to have her looked at/adjusted by their mechanic for the recurring “check engine” light (“no charge”), that is until our three-month warranty expired. We’ve paid for parts and labor to give her a tune-up, replacing spark plugs, ignition wires, the ignition coil, and the mass air flow sensor ($300). We’ve had the sheered-off bolt replaced on one of the two hinges that hold Sunny/Cloudy’s driver’s side door in place; according to the auto body shop we’ve used for years, the bolt was improperly screwed in, apparently the result of a previous repair done without benefit of VW-specific tools ($206). The auto body shop also found 2 of the 4 screws that hold the driver’s side window motor in place unscrewed and falling off (Note: Prior to purchasing Sunny, we asked that the malfunctioning driver’s side power window be fixed. Ahem.). We’ve paid for parts and labor to have Sunny/Cloudy’s selenoid purged and her left front crash sensor replaced ($540). Sunny/Cloudy’s “check engine” light turned on when Mike drove her Sunday morning, turned off when I drove her this afternoon, and turned on again when Tory drove her just a little bit ago. Yellow car = lemon? What do you think? The Mulch Mobile, which is what I am driving – rather than “Black Beauty”, the chic “beemer” – has had problems with the check engine light since it came off of DeCozen’s (don’t get me started) lot 6 yrs. ago. No one could figure it out. 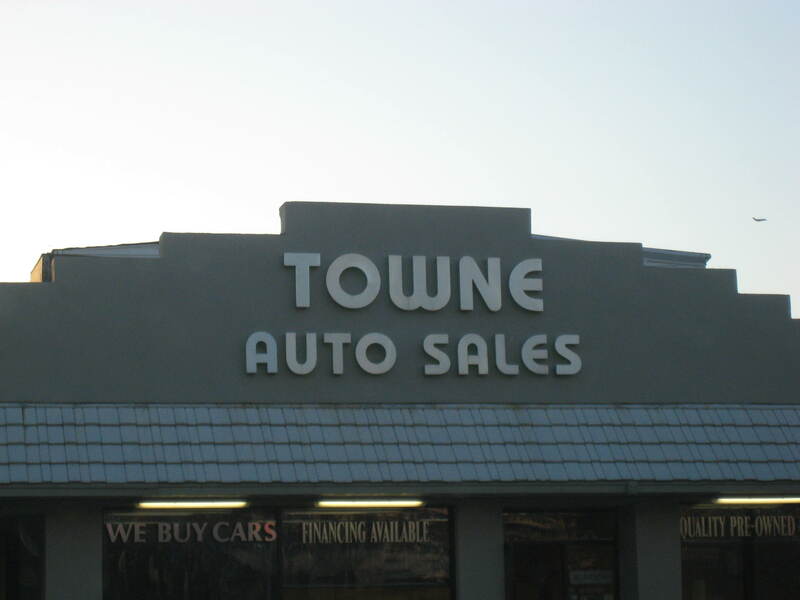 In and out…Low and behold, we live near THE dealership that is known for repairing – the unrepairable. It was fixed for over a year. Came on the other day. Not sure if it’s “real” or not. Guess I’ll toddle out and find out… The mulch mobile hasn’t hit 5o,ooo mi. yet. Good luck. Yeah. I wish I could sell it, but Tory would have a cat and a half. I’d almost forgotten about the Jeep’s check engine light saga. The tough part is not knowing if it’s a sensor or a ‘real’ problem. They just don’t make Bugs like they used to. I will share with you, Michael & I drove both our cars for quite some time with the check engine lites on. It took our mechanic several tries before he finally got the lites turned off. And, knock on wood, we’ve been in the dark for while. So, there’s hope for Sunny!